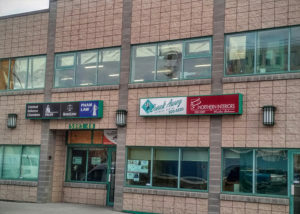 Located in Kam Lake industrial area we have two 1600 sq ft garage bays. These bays have overhead doors, as well as a mezzanine floor perfect for an office. 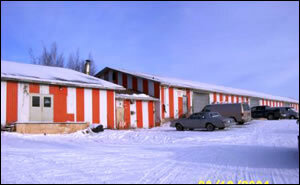 These bays are ideal for heavy equipment. Utilities: Extra $ heat, water, hydro extra.